Offering free Wi-Fi and free self-service laundry facilities, JJH Boutique Apartment is located in the heart of Geylang district in Singapore. Surrounded by famous local eateries, it is only a 15-minute walk from both Kallang and Aljunied MRT Stations. Simply furnished, all the non-smoking rooms are equipped with a TV or flat-screen TV. Some rooms include a fridge. En suite bathrooms come with a shower. 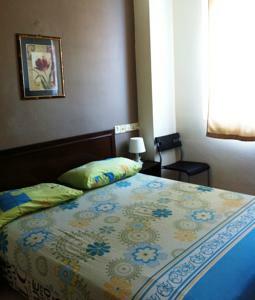 JJH Boutique Apartment is a 10-minute drive from Arab Street, Little India and Bugis area. By train, it is within 3 stops from City Hall MRT Station. Changi International Airport is a 25-minute drive away.